If you liked the incredible Nehrim: At Fates Edge mod for Oblivion then you are going to love this. 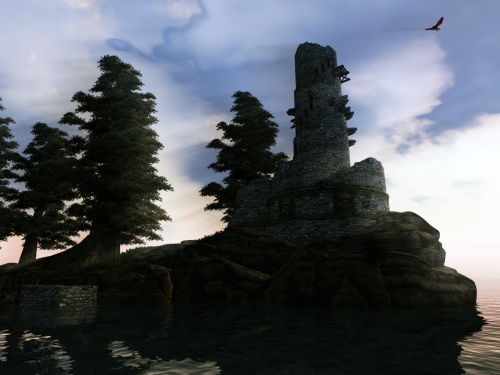 Andoran: Prologue is a new and upcoming Oblivion mod in the works by a team of modders from Russia. The mod is set in a completely new area of which the mod is named after. Having already confirmed an English release in the description of the trailer, this is definitely one to keep your eye on. The visuals already look stunning and similar to Nehrim, you’ll find a wide range of interesting locations to explore as opposed to the comparatively bland landscapes of Oblivion. Another interesting feature promised is what sounds like a huge step forward in the Role-Playing side of thing. The mod claims to allow a whole multitude of different ways to play through the game. Boasting the ability to complete the game without even lifting a sword. One feature that they constantly put the spotlight on is the ability to avoid killing people by knocking them out and tying them up, it even goes as far as letting you kidnap somebody and ransom them to their relatives.